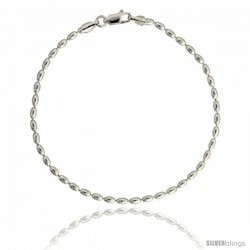 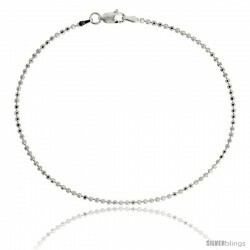 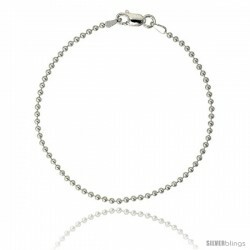 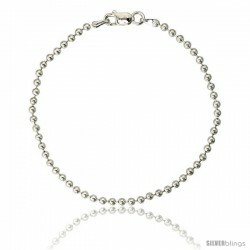 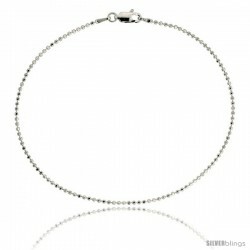 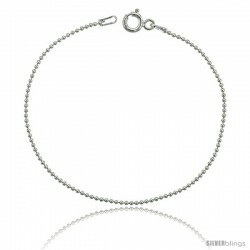 This chic Bead Chain made with Sterling Silver is elegant and unique. 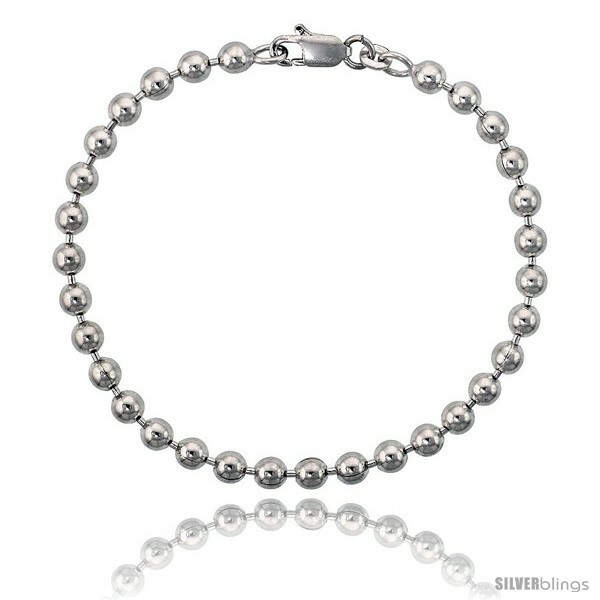 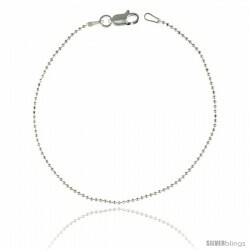 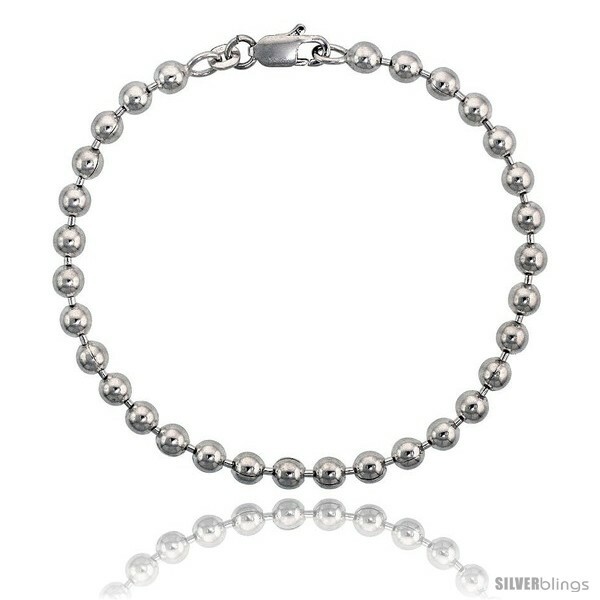 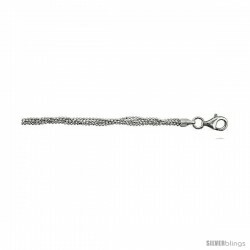 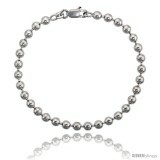 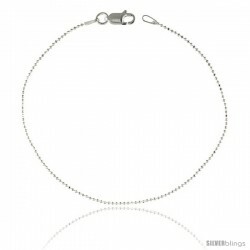 This Very Heavy Ball Chain is Made in Italy, Silver, over 3/16" (5.0 mm) Thick. 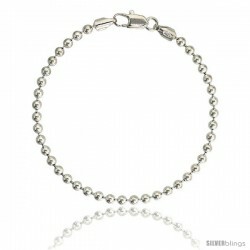 The Quality and the Polish is Excellent, NICKEL FREE and Hypoallergenic. 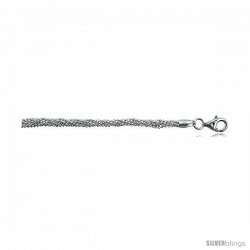 This bracelet is es (18.5 cm) long to fit most average size women.